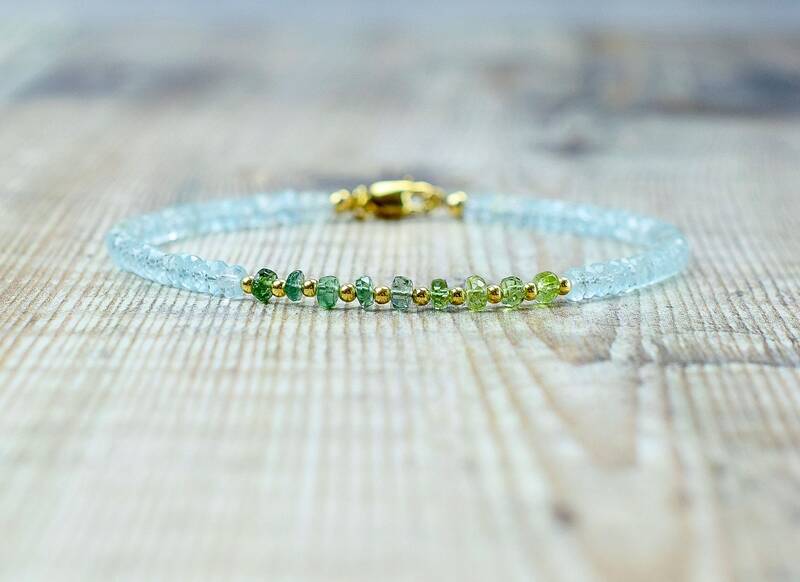 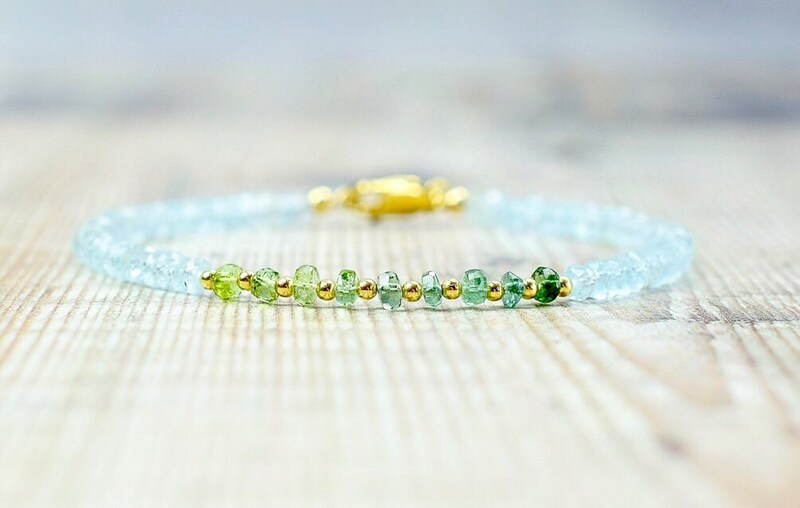 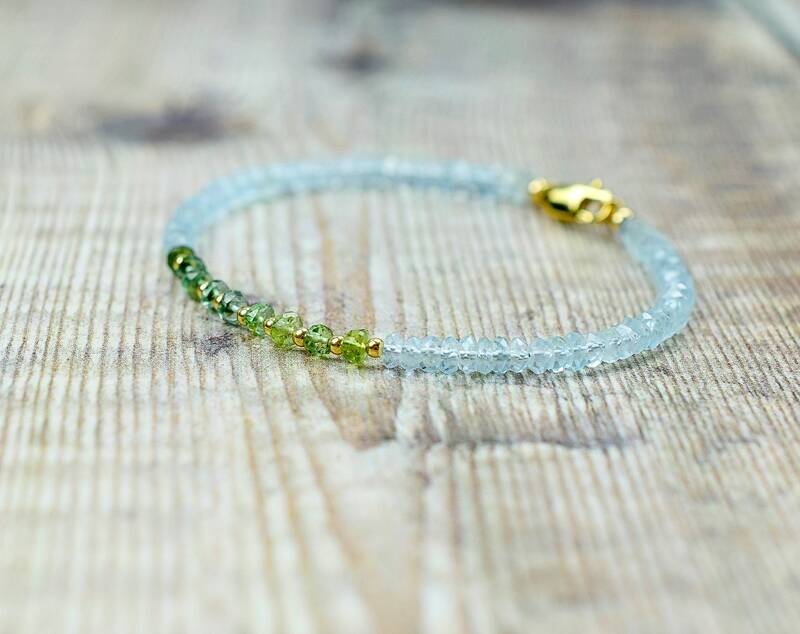 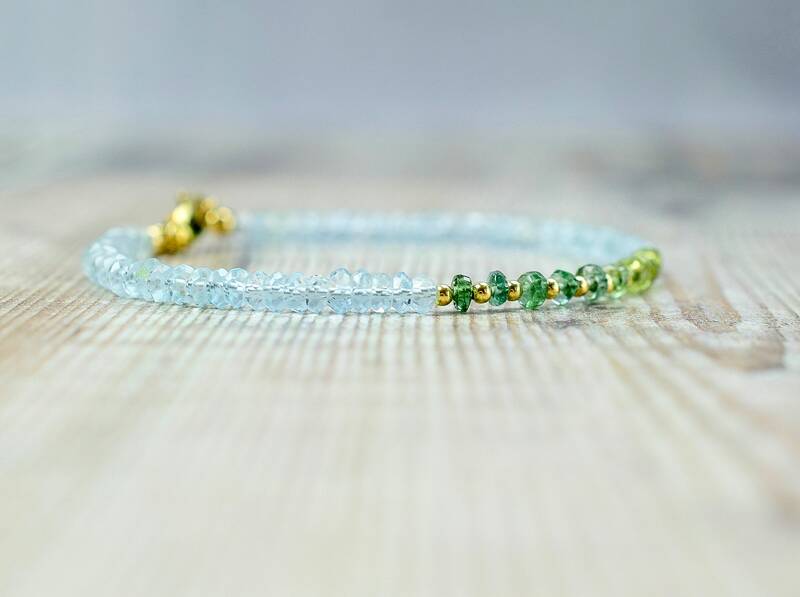 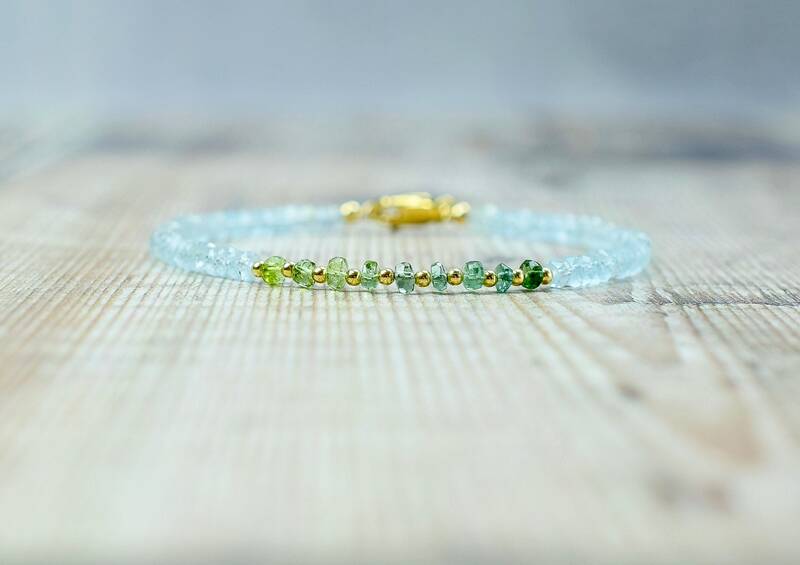 This Sky Blue Topaz & Tourmaline bracelet features a central segment of beaded Green Tourmalines gemstones that are each separated by a tiny 14k gold filled bead. 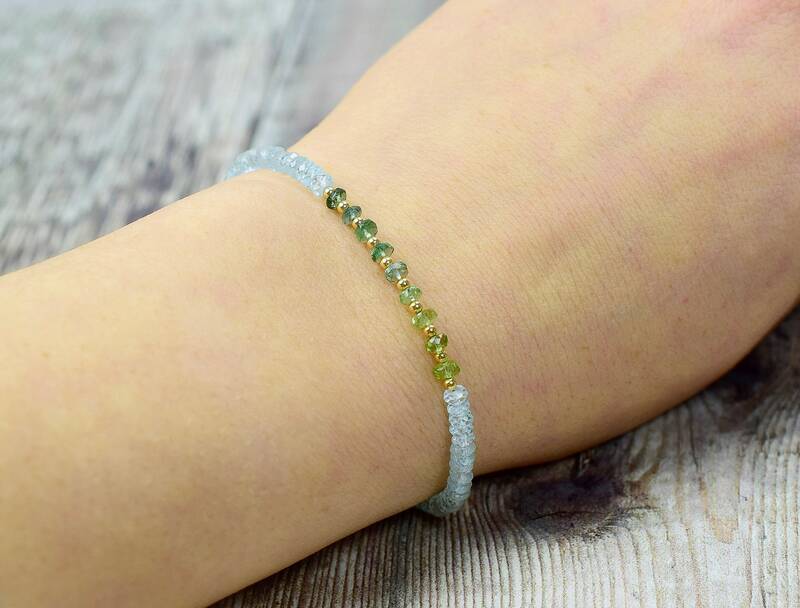 If your size is not listed please contact me with your requirements. 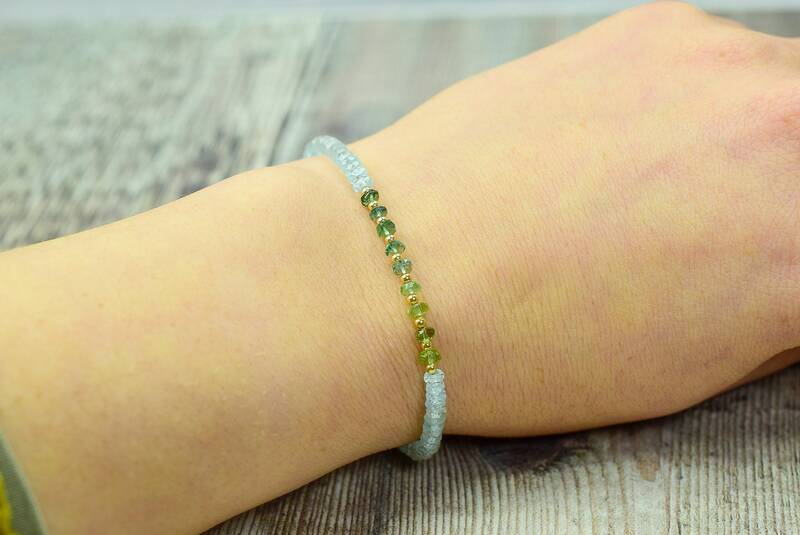 As everything in the shop is made to order anything can be customised to your needs!